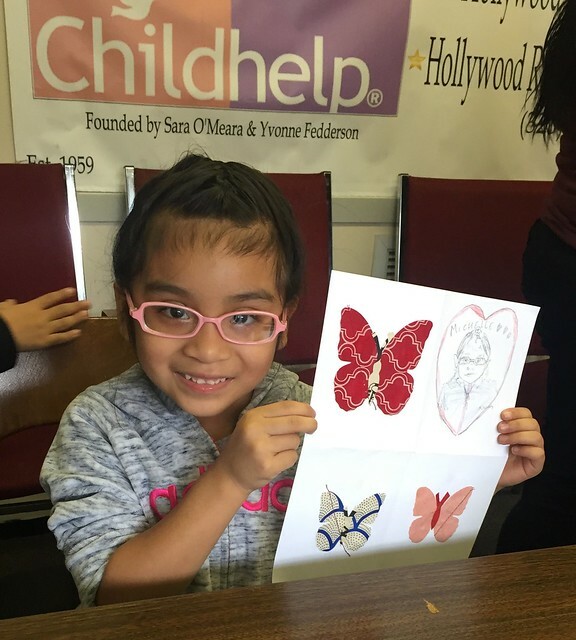 We couldn’t have had a lovelier time, making Valentine’s Day cards with the ChildHelp kids. We helped them draw roses, puppies, Pikachus and Pooh Bears then decorated the inside of the cards with thoughts of love and togetherness. We are extremely impressed with these kids’ resilient, creative sprits and are happy to encourage them to keep on making art by providing them with their own art sets of colored pencils, sketch pads, erasers and sharpeners. Thank you to our West Coast Director, Joseph Scott, for setting everything up and to our volunteers: Jeremy Arambulo, Marla Frazee, Chad Frye, Chris Harmon, Michael Kenny, Christian Lignan, Joseph Scott and Elizabeth Winter.